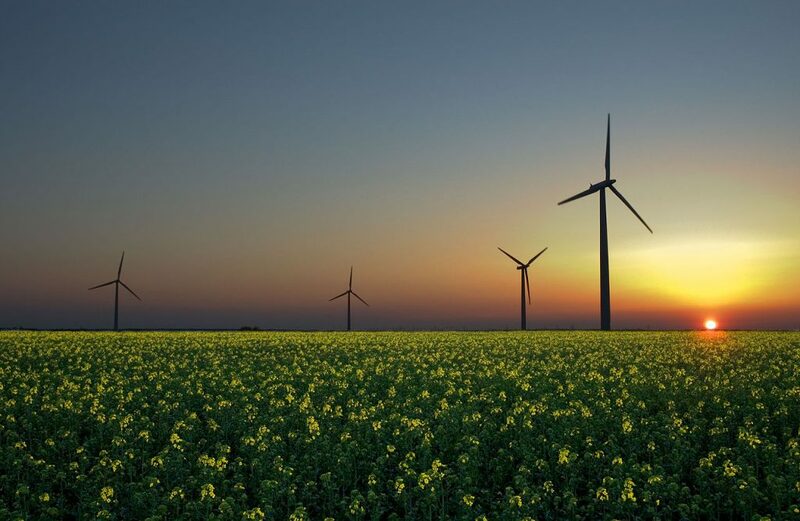 Global wind and solar statistics – Bloomberg New Energy Finance are reporting that global wind and solar energy capacity reached the 1TW milestone at the end of June this year. According to Wikipedia, renewable energy contributed 19.3% to global energy consumption and 24.5% to the generation of electricity in 2015 and 2016, respectively. This has risen sharply in the past couple of years and research indicates that we will continue to speed above and beyond the trillion watts – which is 1 million MW, or a billion kW, if that makes it easier to understand! Bloomberg New Energy Finance (BNEF) release a report this week which is based on their comprehensive and up-to-date database of renewable energy projects. The report notes that 54% of the renewable energy generated was from wind, and 46% represents solar power. This is interesting as it shows how quickly solar is reaching wind power – in 2007 we had 8GW of capacity (around 8% of the world’s renewable energy) – in comparison to wind power which had 89GW. According to Renew Economy this represents a gigantic increase of 57x of solar’s 2007 statistics. It looks like wind and solar will produce more power than coal in America within the next 10 years. How will the figures be for the rest of the world? How will Australia go given the future of our National Energy Guarantee is shaky at best (not to mention it’s receiving plenty of criticism in either case). How will solar battery storage affect these figures? Will the huge influx of commercial solar system installations help us reach the next terawatt much faster? Watch this space. It’s going to be an exciting few years for renewable energy! Solar PV installations in Australia have tripled in the first half of 2018 in comparison to solar uptake in 2017. How will this affect our renewable economy and can we expect this to continue for the rest of the year? Where are all the installs coming from? Let’s take a look. The Canberra Times is reporting that household systems are now, on average, around 5 kilowatts. As the technology improves we’ll see this figure rise and (potentially) prices fall. They’ll certainly fall in terms of per watt pricing but the system uptake has resulted in 44% lower feed-in tariffs in New South Wales already – we’ll have to wait and see how this affects the rest of the country. It certainly doesn’t seem to have curbed the ACT’s appetite for solar systems – with the state leading Australia by a huge margin with a 130.8% uptake in installs over Q1+2 in 2018 vs. the same period. It’s important to note that the amazing growth commercial solar (i.e. systems which are more than 15kW) has also seen over the last 12 months is heavily reflected in these figures. Over a quarter of June’s solar system demand is due to companies wanting to insure themselves from rapidly rising electricity prices and take control of their bills back by installing a commercial solar system on their premises. If you’re interested in reading all the specifics of their report, please click here to download Green Markets’ Renewable Energy Index for May 2018.